Why is it that when young people use technology on adult terms, they are praised as 21st century learners, but when they use technology on their OWN terms, they are castigated as deviant rule-breakers? I’ve been pondering this question lately as I consider the national media attention that students from Roosevelt High School in Boyle Heights, a predominantly Latino neighborhood in Los Angeles, have received in relation to the rollout of iPads for all students in the Los Angeles Unified School District. By most accounts, the rollout of the iPads has been — how could I put it diplomatically —troubled. The $1 billion price tag to eventually provide more than 600,000 students and teachers with iPads has outraged those who argue that bond money should be used to update facilities or hire/train teachers rather than invest in technology that is largely unproven to improve student achievement (see the ‘Repairs Not iPads’ Facebook page that documents deplorable physical conditions that desperately need to be addressed). Add to that the fact that the district did not budget in the additional $38 million for keyboards that students need to take state assessments, the inadequate wifi infrastructure that prevents large numbers of students from being online at the same time, and the shortage of meaningful professional development for teachers about how to integrate iPads into their instructional practice, and you have quite a mess on your hands. And yet, the story that garnered the most media attention regarding the iPads is the one that breathlessly detailed how students at Roosevelt, one of the early rollout schools, managed to “hack” their iPads in order to access websites that the district had sought to restrict, including social media and music streaming sites. The story was picked up by publications around the country. 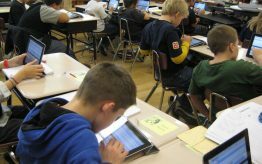 While some mocked the district for failing to anticipate the students’ actions, the majority ended up characterizing the students as violators and stressed the need to control and restrict their digital actions. The NPR story called Roosevelt students “offenders” and reported that the district was weighing whether the students would be “punished.” The Los Angeles Times detailed the possible responses from the district, including completely disabling the Internet after school hours and installing stronger security applications. The portrayal of Roosevelt students was, first of all, inaccurate (The iPads were not ‘hacked’ because there was no jail-breaking involved. A folder was simply deleted.) and, second of all, stereotypically negative. The media furthered the misguided idea of school districts that young people’s technology use needs to be restricted and that adults know what is best for students when it comes to their digital actions. 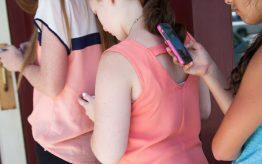 Of course, valid concerns exist about students encountering online predators on district-issued devices, but there are ways to address these concerns WITH adolescents (who are using digital devices after school hours already and possibly encountering these dangers) instead of FOR them preemptively. 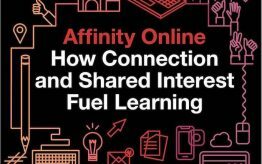 If we want students to learn how to interact in the digital world responsibly and safely, we need to engage them as partners in this endeavor rather than subjects to be acted upon. Daniela, a fellow senior, spoke about the stereotypes used to describe her and her classmates: “When people hear that we are Roosevelt students, they hear ‘dropout factory’ and ‘hackers,’ but never do they bother to think that we are good students that help our community.” Carrasco and her fellow team members conducted 17 interviews of students across gender and grade levels at Roosevelt to provide a fresh perspective on what Roosevelt students actually think. The results were powerful. The students detailed the ways that the deficit perspectives held by outsiders about Roosevelt start to embed themselves within the community, making students feel badly about themselves and their school. They also detailed the resiliency of their community, sharing the strength that they share that helps them rise above the negativity. 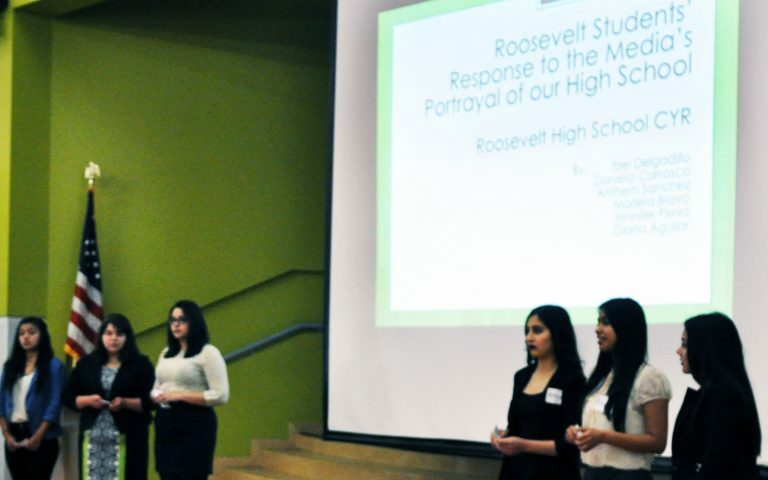 This presentation showcased Roosevelt students using technology in powerful ways to transform their community, and highlighted the need for educators to honor students’ knowledge and lived experiences as they venture out into the digital world. Young people are capable of much more than we often give them credit for. They are not “hackers.” They are innovators who have much to teach us about incorporating digital tools into meaningful, relevant learning experiences.